1.1 Why should I have a website? 2 I Have A Website, Now What? 3.1 What is a Google Business listing? 4.1.1 Why pay for traffic? 5.1 What social media channels should I use? 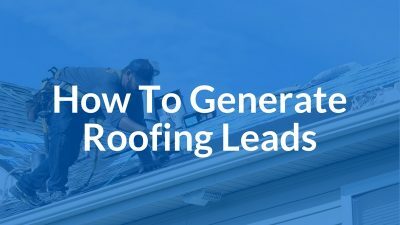 Wouldn’t it be great to have a consistent flow of qualified online leads contacting you, asking for quotes on jobs, buying your product or making inquiries about your service? Yet, many businesses are in a constant battle between finding work, closing deals and then delivering on what they promised to deliver. This turns into an ebb and flow for your business in terms of what you are focused on and has a direct impact on your cash-flow. This can even be a challenge for established companies that have been in business for years, have a great product or service and a loyal following of customers. What if you were in a position that you had to turn-down jobs? Or you had too much business so you had to hire more employees? Sounds too good to be true… doesn’t it? Well… I want to explain how you can better leverage the internet to get in front of potential customers, begin relationships and trust, qualify them, get in contact and close deals. Hopefully, I do not need to convince you that the internet is an extremely powerful way to get in front of people. Just look at the statistics shown below of what happens in 1 minute on the internet in 2017. You want to start by having a clear offer or value proposition and most importantly be able to deliver on the services or product that you offer. There is nothing worse then having a continual stream of business inquiries but not being able to deliver on the work that you get. How can you continue to market yourself, if you have unhappy customers? Can I deliver? If I got an additional 2, 5, … 10 sales/jobs this month, could I follow through? Alright, are you interested to learn more…? As a business, whether you are starting out or have been in business for a long time, there are some basic steps that you need to have made in order to leverage strategic online channels. The first and most basic is a website. Although, it is shocking to learn the number of businesses without a website and furthermore, the amount of business websites that generate zero or very few leads for the business. A website is like a business card, it is a place that you can drive potential leads to begin a relationship, answer questions and inform people about your core service offerings. There are many advanced marketing tactics that can be implemented which I will cover later… but they require a website in order to implement. The next step is ensuring a website has a clear call to action (CTA). An example might be that you want a website visitor to, ask for a free quote, call your business, fill out a contact form, give you their email address to continue the relationship building, etc. Another important factor is that your website should be optimized for mobile devices. 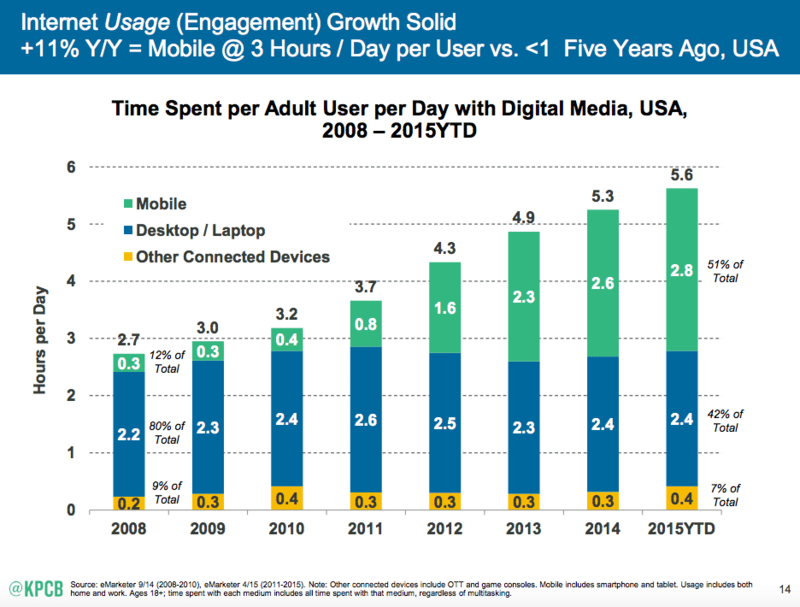 Global smartphone ownership has been a growing trend and it will continue to be a growing trend going into the future. If your website does not work on a mobile device then that should be a priority before implementing any other strategy. In addition, a mobile optimized website is a ranking factor for search engine optimization (SEO). Great, if you have made it this far, then at the very least you should have a website which is easy to view, can easily navigate on a mobile device and has a clear CTA (call-to-action). Following, there are some additional tweaks (shown below) that you can make which can further improve the experience that people have when they visit your website. These additional tweaks can help encourage people to take desired actions on your site (known as conversions) which is why you have a website in the first place! Additionally, it will help lead visitors through the buyers journey (more on that later). The time that your website takes to load can have a big impact on your conversions (the action that you want people to take), how long people stay on your website and impacts how your website ranks in search engines. Therefore, there can be many improvements to your website, by simply increasing your website load speed. It is also important to note that there are many factors that impact how fast a website loads. Some of these factors include, your website hosting company, the size of your website, whether you are using a caching plugin and whether you are leveraging a content delivery network (CDN). It is important to look at all these factors when you are trying to improve your website load speed. Need help with the steps on making your WordPress website faster? Check out this epic post titled, “22 Tips to Speed Up WordPress.” on Cloudliving.com which break-down the steps that you need to take to optimize your WordPress website. If you want to test the speed of your website, there are a few websites that offer a free testing tool. The first is Google PageSpeed Tools. This is a Google development tool to test your website speed and it offers suggestions for improvements both for mobile and desktop devices. Another site that you can run your website through is GTmetrix.com. This is a similar tool that will scan your website and offer technical analysis about areas that you can improve on your website. Lastly, another speed testing tool that you can use is Pingdom. This is the 3rd free site speed testing tool that you can use to identify the speed health of your website. In pingdom, you can choose where to load your site from which is important because your website is going to have different load times based on where in the world the site is being loaded from. You should consider this factor when testing your website loading speed. It is not necessary to use each tool separately as one will suffice but each tool will have different testing options and may give different load times based on where the server is located that is testing your website. I wanted to highlight the CTA (call to actions) a bit more as it is an important topic and could have a blog post (or a website….) dedicated to this subject alone. Remember, as mentioned earlier a CTA is the desired action that you want a person to take once they reach your website. What action is going to directly impact the bottom line of my business? Some actions may include that you want them to make a purchase on your website or fill out your contact form or call you, etc. Now… hopefully you have identified the action that you want someone to take. The next question is, how easy is it for someone to take that action on your website? Is your CTA easy to find and does it stand out? Do you have multiple CTA’s? Are they competing with each other? Can you change the general look and feel so that they are easier to find and standout more? For example, on Optin Digital, I want people to contact me through my contact form (my CTA). Therefore, I have clear buttons which standout on my site to direct people to that page. Following, on my contact page, the page is very clean and has no distractions (no pop-ups, ads, etc). Therefore, the desired action is very clear…fill-out the from and contact me. Now.. just because I want people to fill-out a contact form does not mean that YOU need your website visitors to fill-out a contact form. Maybe, you want website visitors to take a different action. Whatever it is… make it very clear and easy to do. Now…. by this point, you have a website that is mobile-friendly, loads quickly and has clear call to actions. 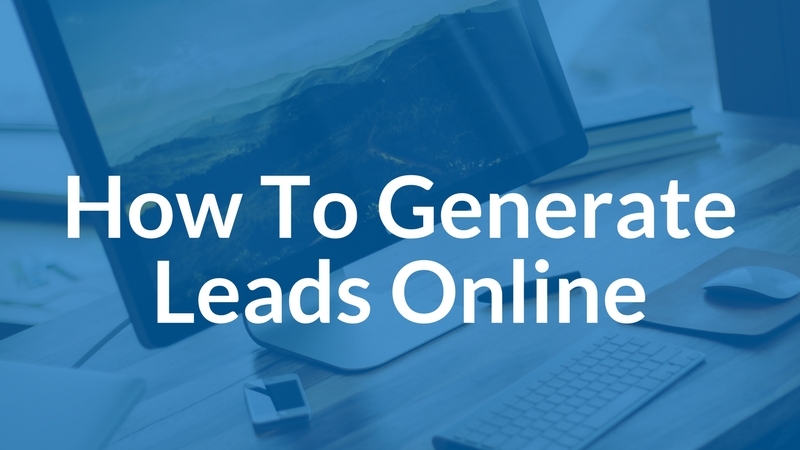 This is the foundation needed in order to start generating leads online for your business. If your business has a physical address then another great step to increase your online presence is to create a Google business listing. If you do not have a physical presence such as an e-commerce site then you can skip this section. 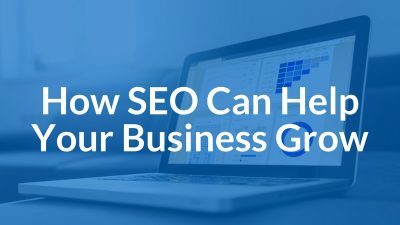 A Google Business listing is a way to add your business so that it appears when your business or business category is being searched for in the Google search engine. In addition, it helps people searching for your business by making your businesses information more readily available. This includes, your website, address, phone number and reviews about your business. 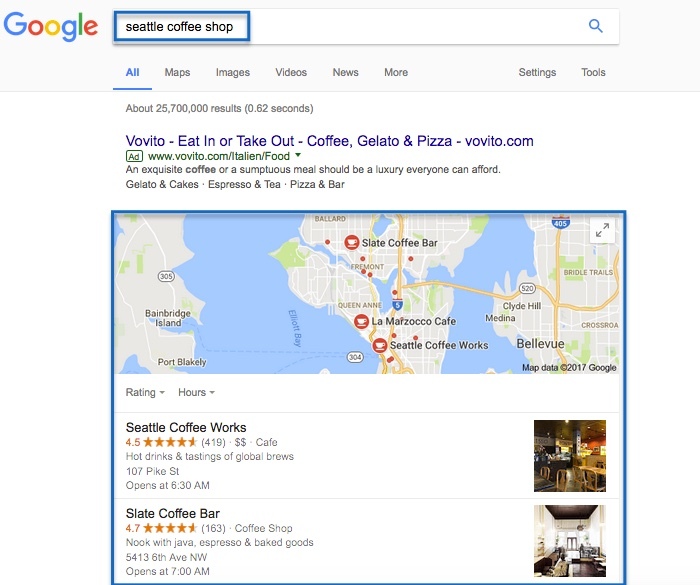 For example if you search in Google for “Seattle Coffee Shop” you will get a list of results starting with businesses that have a Google business listing. Your business will not appear at all, if you do not have a Google business listing. If you want your business to appear then this requires you to create your Google business listing and enter all relevant information. Once, that is complete, your business will start to appear as a search result. The next step is gaining reviews from customers. This is a longer term strategy and will help you rank higher among your competitors. But, if you receive poor reviews then your businesses rank will go down in relationship to other businesses that are listed in the Google business listing section. It is important to note that there is pretty much no point to have a website if no one is visiting the site (traffic) and taking actions that help you generate business. Whether that is product sales (e-commerce), service inquiries, phone calls, form fills, ect. Ok, I get it… I need traffic. But… how do I generate traffic? There are several strategies that you can implement to start generating traffic to your website. Some strategies are free but take hard work and time to implement (SEO, content marketing) while others cost money but results can be instantaneous or at least within a few days of implementation (PPC). Want to learn what these strategies are…..??? Pay Per Click also known as “PPC” is exactly what it sounds like. Generating traffic and paying for each, “click” of traffic that comes to your website. There are many platforms that you can leverage and use to generate traffic via PPC. I will explore some of the platforms further below. Although, you are paying for traffic which can become very costly very quickly. The advantage is that you can get results fast. The other advantage is that you can use customer demographics, customer behavior and geographic preferences to get in front of people that you know are potentially interested in your product or service. For example, if you have a dog grooming service then you could run ads specifically to dog owners that live withing a 5 mile radius of your business and are between the ages of 25-55. That’s powerful. Facebook is an amazing platform to advertise on because of its targeting ability. You can get very granular into the demographics and behaviors of people that you target. For example, regardless of what business you are in, there are certain characteristics of people that are more likely to buy from you. The goal is to target these people and get your offer in front of them. You can target based on geographic location, gender, age and then much more granular targeting such as interests, hobbies, pages liked, etc. Furthermore, you can re-target only people that have ALREADY visited your website or even certain pages of your website. This is a powerful tool and can help bring people back to continue building a relationship or get an offer back in front of people that have left your website. Google Adwords is another powerful platform that you can leverage to get in front of people. This platform allows you to display ads to people that are searching for relevant and/or related search queries. Often, when you are searching for something in Google, you will see ads that display immediately below your search query. These ads appear because businesses have a related product or service and they want to get in front of people just like you that are searching for a related subject matter. In the picture below, I searched for, “U.S. loan” directly below my search query are ads. Following, if someone clicks on the ad, then they are taken to the website that promotes a certain product or service related to loans. The cost to display the ad is free but if someone clicks on your ad then you have to pay a fee every time that someone clicks on the ad known as pay per click (PPC). This is regardless of whether or not, that person performs the desired action (CTA). Content marketing is an equally important strategy and should be part of your overall marketing mix. It is about developing content that informs and inspires potential and current customers about your brand, products or service. It is intended to answer common questions, help build relationships with people and develop trust. A simple example of content marketing is writing content and publishing on your business/organizations blog. Content marketing is a long term strategy because it can take time to develop helpful content and then rank that content in search engines known as Search Engine Optimization (SEO). Although, it can take time to develop, it has a compacting impact on your business because once it is written, it does not go away and it does not need monitoring or updates (although it doesn’t hurt). If you are struggling to find content to write about, start with frequently asked questions that you receive from customers. This is a great way to write content and answer questions that customers commonly have and then be able to defer customers too when you get questions. This post would not be complete without the mention of social media. This is an in-depth topic and there is much that can be said about social media. It has been a growing marketing channel for the past several years and will continue to be a strong channel for businesses to leverage and drive business. The problem with social media is how it is leveraged by businesses, which channels are used, how a business measures success through these channels and the order in which social media is prioritized. I would argue that social media is important but should be prioritized towards the bottom of the list in relationship to other marketing initiatives that I have highlighted in this article. For example, you would not want to start a social media account if you do not have a website as you need a place to drive traffic too. Social media channels should be leveraged if you have everything else in place as you can start pulling potential customers from these channels and engaging with them online. If your organization has decided that you want to use social media then you should identify which channels you will be present on, how you will measure success with those channels and what is your overall strategy with each channel. You should start by looking at the demographics of different social media channels and how they align with your target market demographics. 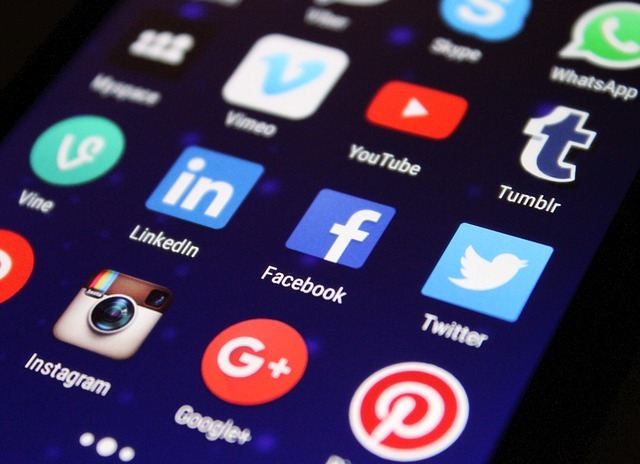 Additionally, the number of total users for each channel and how you can develop a social media strategy to engage with people on specific social media channels. Lastly, I suggest choosing one social media channel and focusing on it. Define how you will measure success, develop content that you will you share, measure how you will engage with users and your overall strategy. After you have mastered one channel, then move onto another. So… if you are still reading and have made it this far, that is awesome! You are clearly interested in growing your online presence and implementing strategies that drives your bottom-line. I would say that the most important part of learning new strategies is identifying which ones are applicable to your organization and implementing them. I hope that this guide offered some helpful feedback regarding what you can do to move your business forward. If you would like to get more feedback or help with implementing any of these strategies for your business, please contact us. 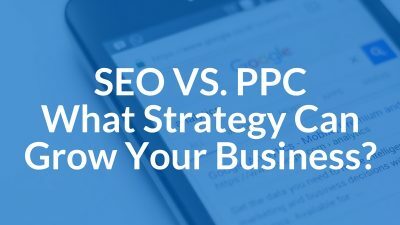 next post: SEO VS. PPC – What Strategy Can Grow Your Business?